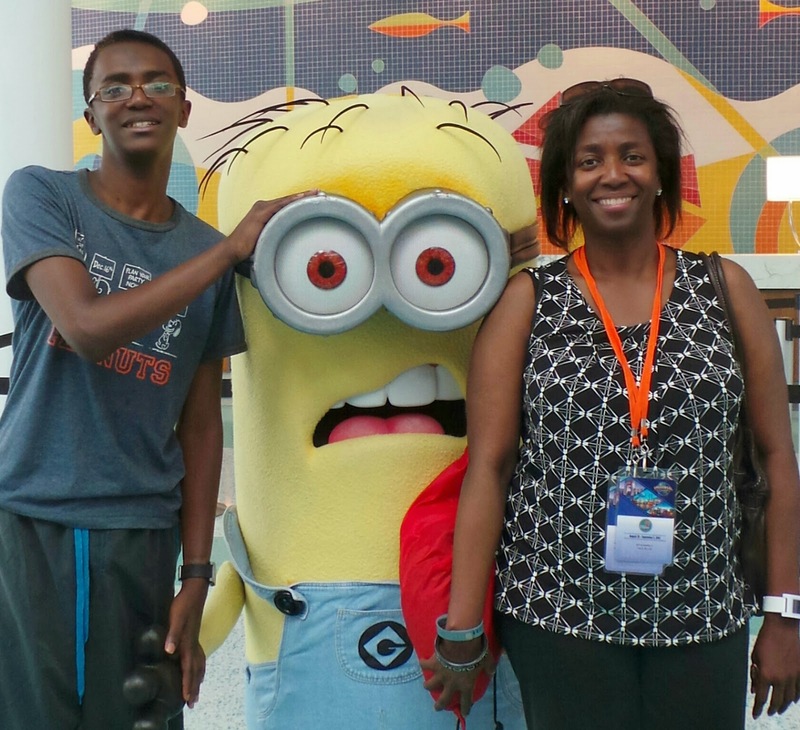 The Family Forward Blogger Retreat at Universal Orlando provides bloggers and their families with hotel, food, park passes, and unique experiences at a significantly reduced price. All opinions are my own. When I travel, I tend to stay at "budget" hotels to save money. And while there is nothing wrong with saving money, I often dream of upgrading to more luxurious accommodations. So it was a real pleasure when as part of attending the Family Forward Blogger Retreat in Orlando, FL, my family got to stay four nights at the Lowes Portofino Bay, a luxury high-end hotel that is part of Universal Orlando Resorts. Lowes Portofino is designed in the style of a Tuscan villa in Italy and I was highly impressed from the moment the cab turned on to the lush grounds to the moment we opened the door to our room. The Lowes Portofino Bay is simply a beautiful hotel. We arrived at the Lowes Portofino Bay three hours earlier than the check-in time and we were prepared for the hotel management to say that our room would not be ready for hours. So imagine my surprise when the friendly and very orderly check-in staff informed me that our room was all ready and waiting for us - SWEET!!! Our room was beautiful - large, comfortable and elegant without being fussy. And the bathroom was bigger than my master bedroom at home - I was in total heaven! It did not take long for everyone to change into bathing suits so we could hit one of the three pools at the hotel. I loved just lounging in the shade while my son had a wonderful time in the pool complete with a fabulous water slide. And everyone loved the hot tub despite the fact that it was 90 degrees in the shade. The pool area includes wait service which brings your food order right to your pool lounger and I would highly recommend their chicken tenders which were delicious. View of the Lowes Potofino Bay by night - beautiful! The pool by night - with Harry Potter on the big screen! The pool area is also very busy at night because the hotel shows a Harry Potter movie each night on a big screen projector right by the pool. It is a great way to end the day. 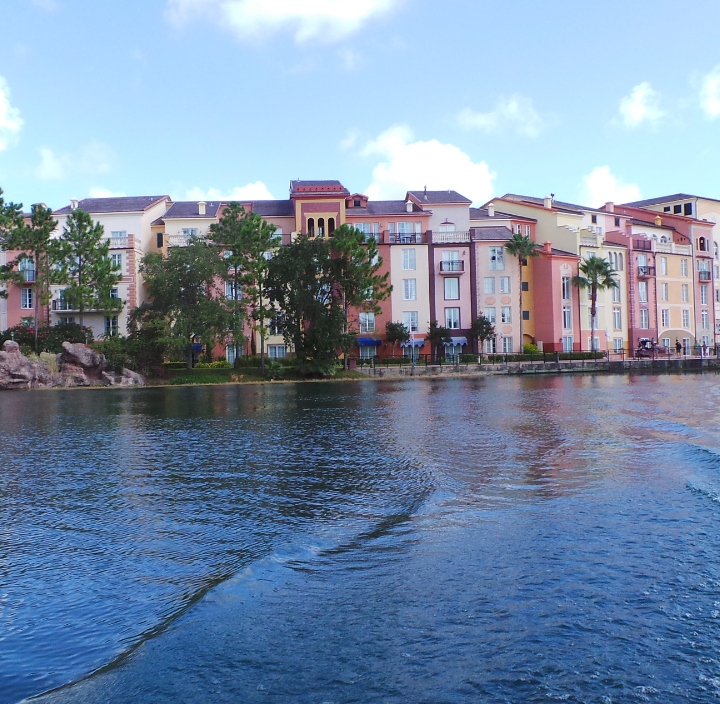 The Lowes Portofino Bay Hotel is about a 10 minute walk along a beautiful landscaped path from Universal Studios, Universal Islands of Adventure, and Universal CityWalk. If you don't want to walk (which I would not recommend in the hot sun of the day), the hotel has a FREE boat shuttle. My only complaint about our entire hotel stay is how slow the boat service is at the busiest times of the day and evening. I would recommend packing some patience when using this service - and also leaving very early if you need to be somewhere by a certain time. - You can skip the regular lines with Universal Express SM Unlimited ride access in both theme parks – a FREE benefit worth up to $89 per person, per day. - And you get Early Park Admission to The Wizarding World of Harry Potter™, one hour before the theme park opens. And even on the days that you don't go to the parks, the Lowes Portofino Bay has temptations of its own with shops, restaurants, and a spa where you can unwind and relax. 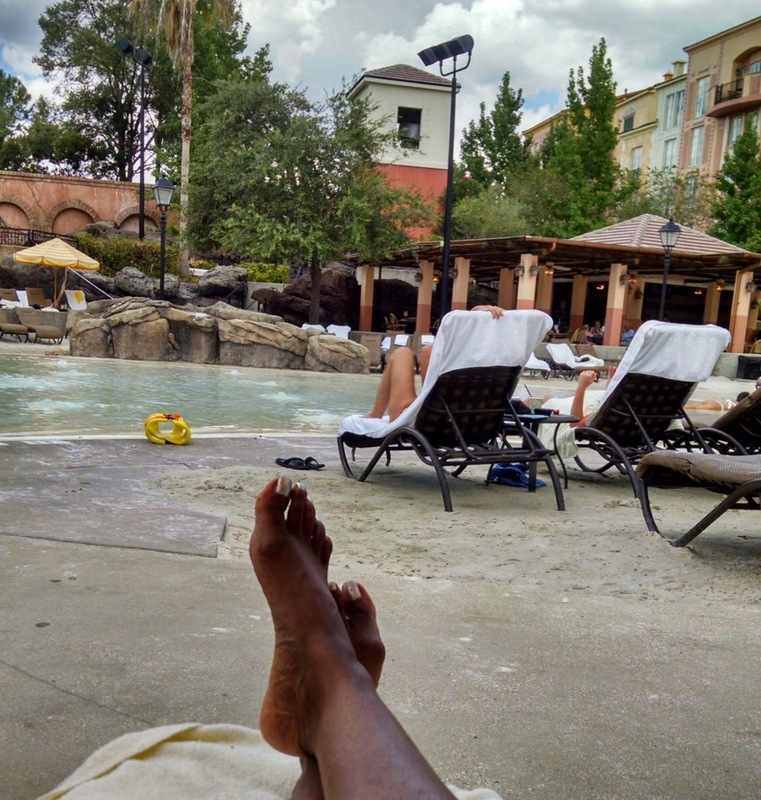 I came away from my stay at the Lowes Portofino Bay Hotel relaxed and renewed. And isn't that what a great vacation is all about?